Railpictures.ca - ngineered4u Photo: You can smell the new paint! Brand new CN ET44AC’s 3029 and 3025 sit on the outbound shop track at Mac Yard being prepped for their next asignment. AC is now the dominant power on CN trains, with 90 more on order. | Railpictures.ca – Canadian Railway Photography – photographie ferroviaire Canadienne. Copyright Notice: This image ©ngineered4u all rights reserved. Caption: You can smell the new paint! 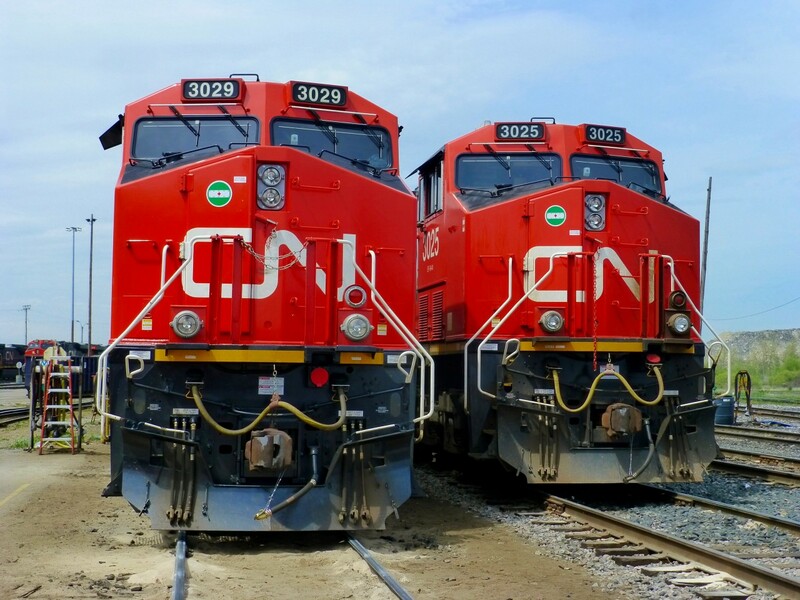 Brand new CN ET44AC's 3029 and 3025 sit on the outbound shop track at Mac Yard being prepped for their next asignment. AC is now the dominant power on CN trains, with 90 more on order.